Would you like to learn what it takes to get started in Genealogy? If you said yes to any of the questions you should consider attending a Society meeting or contacting a KGS volunteer in your area. The KGS was organized in 1989 and received a tax exempt status from the State of Texas in 1995. It is a not-for-profit 501(c) (3) tax exempt organization. Donations to KGS are tax deductible. Meetings are held the 2nd Tuesday of every month ,at the Kingsland Library-meeting room, at 2pm. Visitors are most welcome - Dues for membership $12.00 a year ($18 for couples). The Members of the society have volunteers in the round room of the Kingsland Library every Wednesday of the month, to assist you in your research. If you have questions or need assistance in your research, please plan to visit at these times. 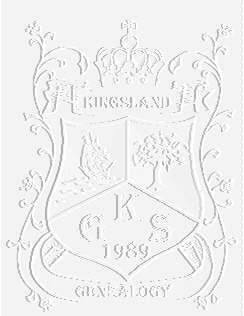 The membership of the Society attempts to remain faithful to the purpose of the organization stated in the bylaws: "KGS is a not-for-profit organization whose purpose is educational and whose objects are to create and foster an interest in genealogy; to bring interested persons together for discussion and interchange of opinions and planning in the field of genealogy; to study methods of research; to preserve genealogical data; to assist one another; and to perform such other functions which may be of mutual benefit to its members." This KGS site was created, and is maintained by Sue Ashby.